TORONTO – A little bit of Seattle came to the Toronto International Film Festival last night, and got a standing ovation. Megan Griffiths’ “Lucky Them,” a sweet and wise romantic comedy about a rock journalist (Toni Collette) looking for the musician boyfriend who disappeared long ago, had its world premiere at the Isabel Bader Theater, and it’s definitely a crowd-pleasing hit. Cinematographer Ben Kutchins captures the night neon of Capitol Hill and the Market and turns it into a wonderland, and Collette and Thomas Haden Church (as a friend who aids her in her search – by making a documentary out of it) make a marvelous screwball comedy duo. I saw Griffiths at the post-screening party and she was having a wonderful time, as was writer/producer Emily Watchtel – who spent 11 years getting this project made. Expect distribution buzz to start soon, maybe even today. 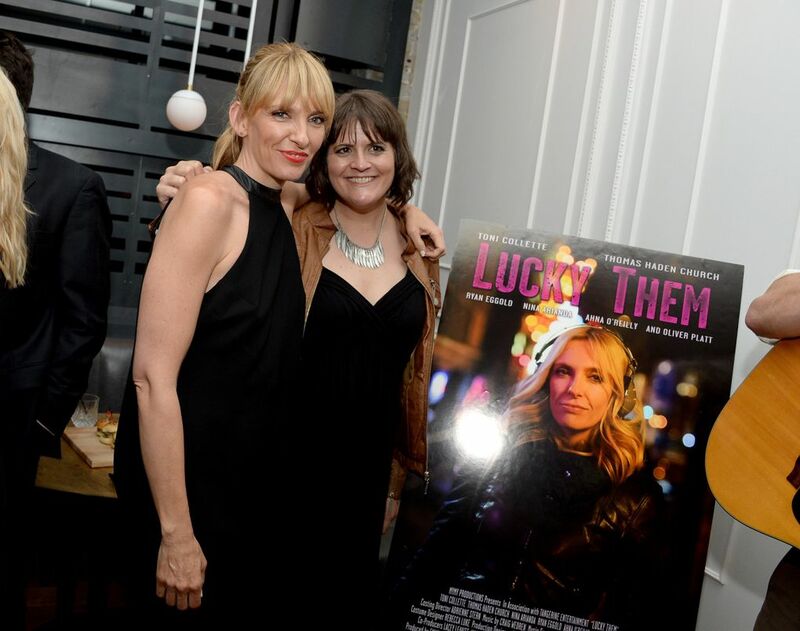 Seattle director Megan Griffiths (right) and actress Toni Collette at the “Lucky Them” premiere party. Photo by Jason Kempin/Getty Images for MMY Productions. Also good: Ralph Fiennes’ “The Invisible Woman,” in which Fiennes directs as stars as Charles Dickens, in love with young actress Nelly Ternan (Felicity Jones). Smart, elegantly filmed and thoroughly literary, it tells a little-known story with grace. Fiennes practically leaps off the screen as Dickens; Kristin Scott Thomas is haunting as Nelly’s stage mother. Tomorrow: four movies in a row – how will they go? And will I be brave enough to sample the poutine they sell at the main festival multiplex? We shall see.